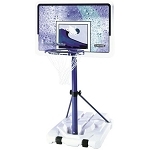 The 1479 Lifetime portable basketball hoop features a large 48 inch polycarbonate backboard, a sturdy 3 inch pole, and a large portable base. The 48 inch polycarbonate backboard provides a sturdy surface that holds up well to abusive use. Lifetime's 3 inch pole provides great backboard support, which minimizes the movement in the system when in use. Lastly, the portable base can be filled with sand or water. When filled with water, the 31-gallon base weighs about 248 lbs. Why get a portable basketball hoop? Portable basketball hoops give you the ability to move the system around as needed. Is your basketball court going to be a driveway? 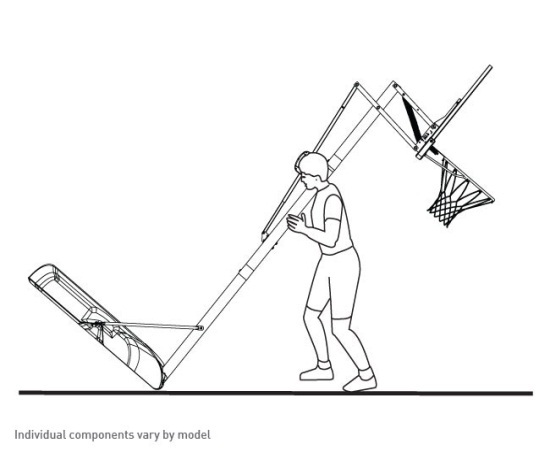 A portable basketball system can easily be moved around as needed. 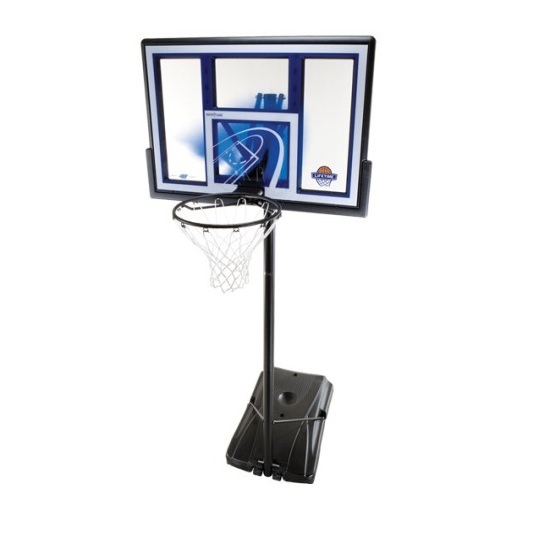 This Lifetime Portable Basketball Hoop, model 1479, is a great mid-level portable system that is great for beginning and intermediate level basketball players. 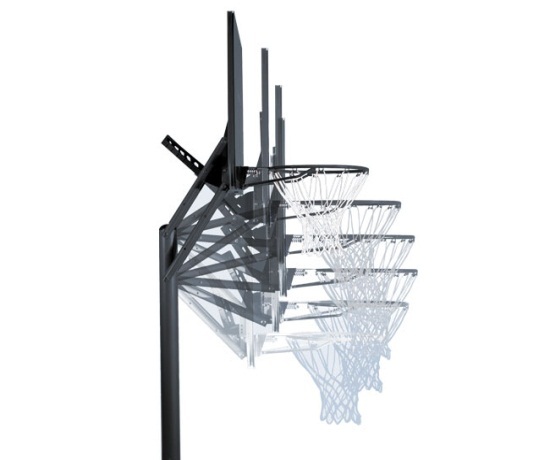 This portable basketball system has a middle level backboard size for a portable goal. The smallest available backboard for a Lifetime Portable Goal is 44 inches. The largest is 54 inches. 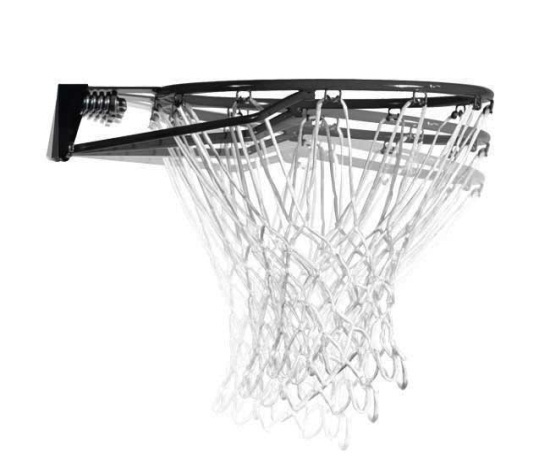 The backboard material is polycarbonate, which is considered to be step below glass in terms of how well the ball rebounds off the backboard. 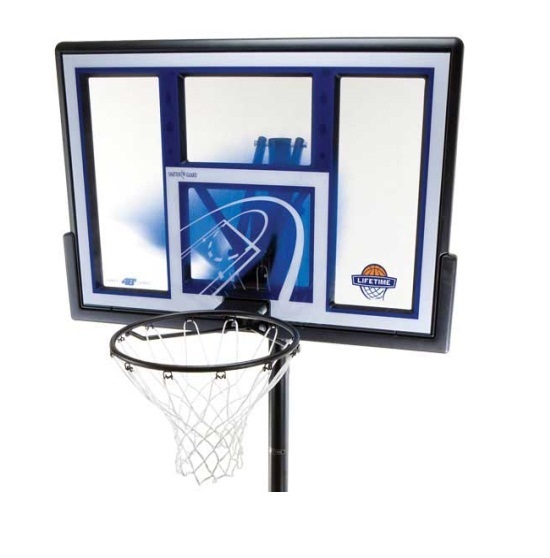 Dimensions: 48 inches W x about 30 inches H.
Backboard thickness: 2.5 mm (0.09 inches). 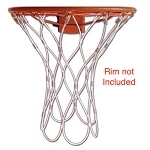 Black Slam-It rim, regulation a 18 inch diameter. Uses the Quick Adjust mechanism to raise and lower the rim height. Pole size: 3 inch round. The Quick Adjust adjustment device is activated using a broomstick pole and pushing the end of the pole into a little receiver inside the mounting bracket to lower the backboard, and under the rim to raise the backboard. Rim height adjusts from 8.0 feet to 10 feet in 6 inch increments. Base footprint: 30 inches W x 46.75 inches D.
Approximate weight of the base when filled with water: 248 lbs. Shipping dimensions: 48.25 inches x 32.75 inches x 10.5 inches. My purchase was promptly shipped and received in good condition. Dimensions: 48" x 33" x 11"